Countryfile Live is not an agricultural show, nor is it advertised as one, but it is an event that attracts over 120,000 people in just four days and has a distinct ‘county show feel’ to it. Farming is represented at the show in the various livestock tents, livestock shows, farming machinery displays and in the home-grown produce for sale in the food marquees. With this in mind, this event is a great opportunity for a wider audience to be introduced to the world of farming. One of the aspects of the show that I found hugely appealing and beneficial for the farming industry was the “Ask The Farmer” section in The Passion for British Livestock and Adam’s Farm Area. Here you saw most British livestock represented, in particular during the displays of Dairy, Beef and Dual Purpose cattle, as well as by the Rare Breed and Commercial Breeds of Sheep present, including this year’s focus on the story of the Scotch Mule. The area also had a pig and poultry section and animals from the Cotswold Farm Park and Banham Zoo. The idea behind this part of the event was to have real life farmers, with their livestock, talking directly to members of the public and answering their questions. Personally, this is something I am hugely supportive of because there are so many misconceptions about farming out there and I feel that due to the nature of the job, and often remote locations of our businesses, the real stories are all too often not being heard because we are not present to defend ourselves. One such volunteer, Hayley Simpkin, praised the “Ask The Farmer” initiative. Hayley was part of the pig team, who put on a great display of native and rare breed pigs. She also helped support the Junior Pig Club (a great idea to get children involved in livestock). She notes that being part of this year’s Countryfile Live meant that she was able to talk to a different type of person, than those who normally attended traditional agricultural shows. She also felt it was a benefit for members of the public to speak directly with the people who are involved in food production because she believed “when they see news items about, for example, the forage shortage, they’re more likely to think about the actual humans they met and probably quite liked as people, so it gives them a point of reference rather than “farmers”. If they’ve never had a chance to meet the wide range of people in agriculture they probably maintain the stereotype of farmers“. Speaking with the #askthefarmer organisers and volunteers gave me a fantastic insight into the benefits of such an event, however I was interested to find out the opinion of someone who had not attended as a farming ambassador (though you have heard my thoughts as a member of the general public, I thought my opinions may be a little biased!). Suzie Price visited on the Thursday and had great things to say about the whole show, she states that she found Countryfile Live to be “an incredibly well-organised, superbly enjoyable and gently informative day out!“. She too agrees that the event appeals to a wide audience and thinks that it brought together “all walks of life” and had “something for everyone“. With such a broad spectrum of visitors hearing about farming direct from the mouths of farmers, this event surely should be supported by the industry and the idea behind #askafarmer promoted further. Countryfile Live has been sneered at previously for trying to ‘romanticise’ farming, which without the presence of real farmers I would say could easily be done. Some of the questions however being asked by the attendees, that I overheard or that the farmers above were answering, showed a real concern for animal welfare and a want for people to understand the origin of their food. This undeniably shows that some members of the public are keen to get the truth behind what is really on their plate and this a great opportunity for farmers to inform them. Besides, at shows of this scale and to appeal to such a broad audience, perhaps Countryfile do have to apply a little ‘pig wax’ to farming. And although, I wouldn’t sell this event to avid farmers or breeders, because this is no county show, this is a great ‘starter’ event for those wanting to know more, or even those that do not seek the answers but stumble upon them instead. Overall I think Countryfile should be applauded for their efforts to give farmers the opportunity to speak directly to the public and of course praise should also go to the farmers who attended and were able to share their experiences. Opening up communicative avenues between farming and non-farming folk really is the best way to banish mistruths and get consumers supporting British farming on all levels. My hope is that for an event of this scale to be open to such discussions, this will hopefully inspire other events to also offer such opportunities. This was my third year at the show, having been every year since it started and it was again a brilliant day out (even if the heat did hinder my experience slightly). I genuinely look forward to 2019, where I am told the event is only going to get bigger! In the meantime here is a short video of what we got up to on the day. 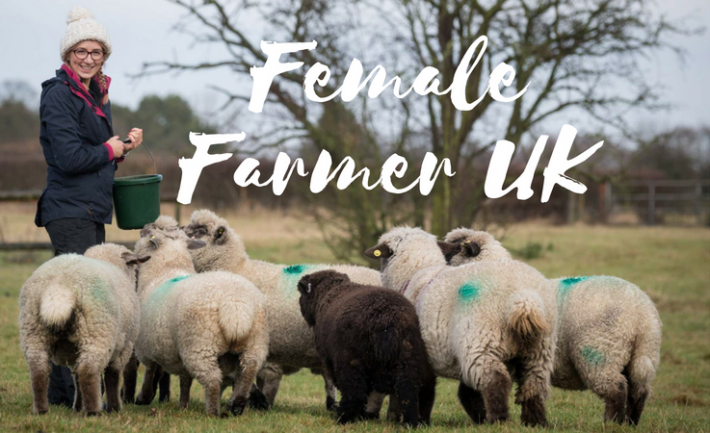 If you enjoyed this piece and also want to hear about farming topics and events direct from the mouths (or keyboards) of real-life farmers, please sign up to or follow my 5 Minutes of Farm feature on the blog, which is hoping to bring more opportunities for the voices of farmers to be heard! * a better quality video will be uploaded to YouTube.